In our first year of planning Intermitten, we met a woman named Brooke Boyle who intensely loved talking to people, learning about them, and helping them find the resources they needed — even if that simply was a safety pin for their shirt. We quickly decided that this human needed to be a part of Intermitten, and she became our super hero conference concierge. We let her sit down and enjoy listening to the conference last year, and we’re grateful we did. We talked to her at the event, and we saw her wheels turning. 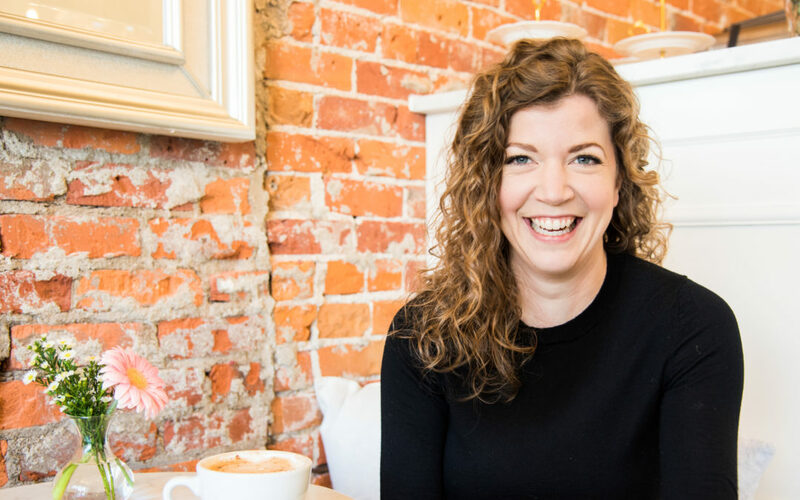 While we miss having her on the Intermitten Board of Directors, we’re so excited that she’s taken on a more formalized community builder role as the founder and CEO of Engage Affect. We asked Brooke to share more about what she’s doing with Engage. Here’s what she told us. Engage serves as Ann Arbor’s central hub for authentic connections to people, organizations, and places. What’s the story behind how Engage got started? For me, Engage is truly the most incredible “next step” for me professionally and comes with such great personal fulfillment. I never thought I’d be a CEO and didn’t recognize myself as an entrepreneur. But someone recognized me as a “builder” and that made sense. I love building bridges, and being “Ann Arbor’s Connector” is a title I’m psyched to take on. I’ve lived in seven different U.S. states. I collect life experiences and the people in them. And I love making it easier for people who don’t have that natural proclivity but who are desperately seeking someone to share their messy life with. Introverts and extroverts alike. When did we lose the ability as people to connect? Our natural survival instinct is to stay safe. Sticking with the familiar is comfortable. Comfort provides a sense of security. And security means survival. But surviving isn’t living. Through Engage, people are learning how to live. We are providing an opportunity for them to participate in this place we all work and live and have an enriched life experience with one another and for one another. By paying attention to the individuals, and the passions that extend beyond the scope of their day jobs. We are creating a social and economic impact well beyond anything I dreamed of.